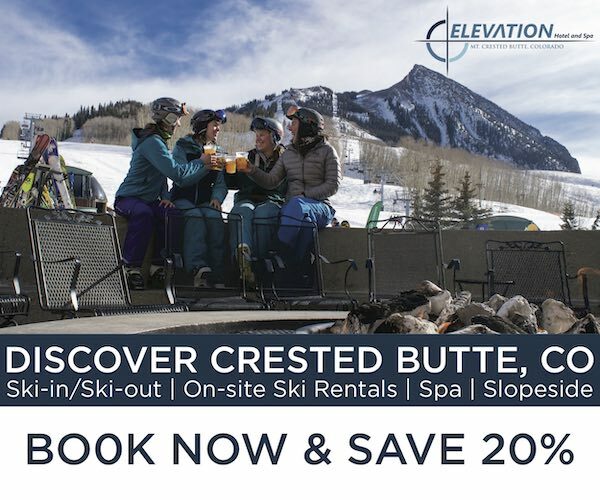 Over the past several years, we’ve seen an increasing number of companies making their alpine skis available in lighter, more touring-friendly constructions for those who like to earn their turns, or who just want a lighter ski for the resort. Whitedot is one of these brands — they make several of their models in their “Carbonlite” construction, including their big-mountain charger, the Ragnarok 118. 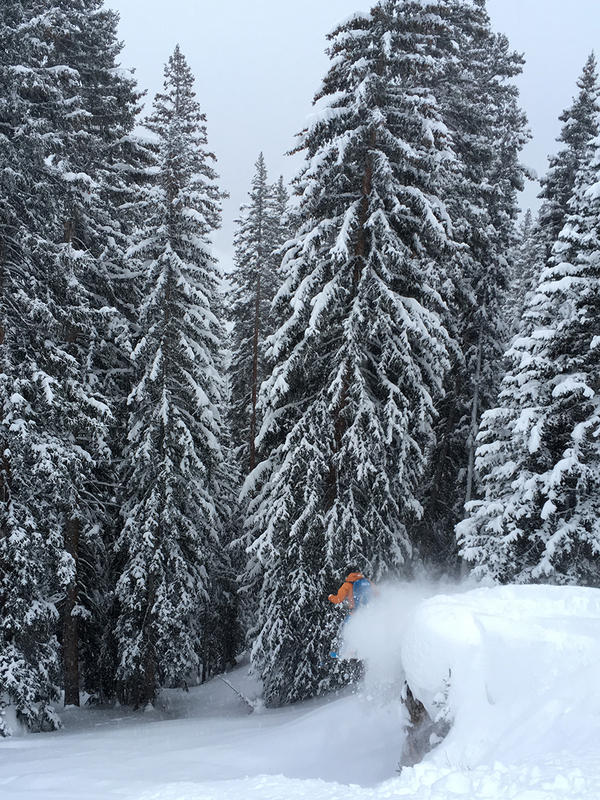 Brian Lindahl on the Whitedot Ragnarok 118 Carbonlite, Vail Backcountry, CO. But this is rarely true, so rather than making wild claims, Whitedot instead chose to highlight the Ragnarok Carbonlite’s “light and reactive ride” and say that it makes big mountain skiing “even more accessible.” Those characteristics actually seem accurate for a lighter ski, so it’s refreshing to see a company actually be straight up and honest. As for the standard / non-Carbonlite Ragnarok, we described it as an impressively stable, yet still fairly accessible big-mountain ski. So how much stability does the Carbonlite version lose (if any), and is it just as accessible, or perhaps even more? At right around 1900 grams, the Ragnarok Carbonlite is quite light for its size. Here are a number of our measured weights (per ski, in grams) for some relevant skis. As always, be sure to note the length differences to keep things apples-to-apples. The Carbonlite version is a bit softer than the standard Ragnarok, though it’s still a pretty stout ski. The flex pattern across the back half of the Ragnarok Carbonlite isn’t very different from the standard Ragnarok, but the Carbonlite’s shovels are a bit softer. As a result, the Ragnarok Carbonlite has a slightly less “round” flex pattern — its shovels are noticeably softer than its tails. Like the standard Ragnarok, the Carbonlite version has pretty significant tip taper and nearly zero tail taper. It also has the same unconventional rocker profile, where the shovel and tail rocker rises abruptly upward, instead of having a consistent curvature. Given its rocker profile, length, and width, you might not be terribly surprised to hear that the Ragnarok Carbonlite excels in powder. While the Ragnarok Carbonlite grips well on firm snow (keep reading), it’s much looser in untracked pow. Like the standard Ragnarok, you can break the Ragnarok Carbonlite into slashes quite easily in powder while still being able to arc big turns down an open face. Despite its softer shovels, the Ragnarok Carbonlite still has a “big-mountain feel” that I haven’t found on surfier and more playful skis. For example, airing off pillows and cliffs on the Ragnarok Carbonlite still rewards you with a pretty satisfying and solid landing platform, as opposed to softer skis that will often fold up. And at high speeds, the Ragnarok Carbonlite won’t shoot you across the fall line when you get the ski up on edge (might have something to do with the ski’s 30 m sidecut radius). 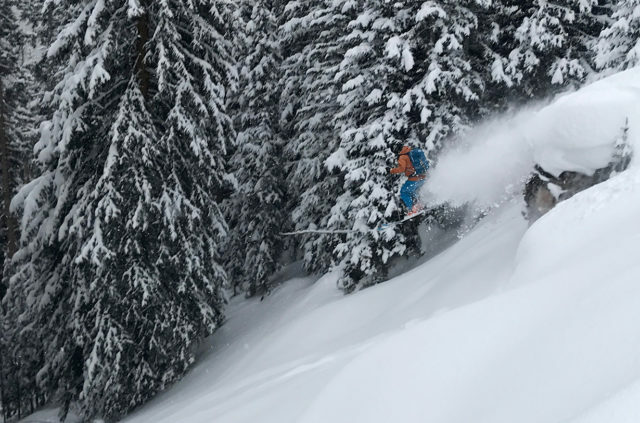 As a result, the Ragnarok Carbonlite seems like a great option for those who like to ski powder hard and fast, even when they’re earning their turns to get to it. So, overall, I’d say that the reduced mass of the Ragnarok Carbonlite doesn’t really affect its performance in fresh, untracked snow compared to the standard Ragnarok. The Ragnarok Carbonlite exhibits good edge hold on firm, variable snow, especially when that snow has been compacted by the wind. However, as you get it up to higher speeds, it does get kicked around a bit more than the standard Ragnarok, especially as temperatures fluctuate and chop sets up into firm crud. As is almost always the case, a ski’s damping / suspension will take hit when you remove some mass. So if you’re looking for strong performance in firm, variable snow, a narrower ski at even a similar weight would be a better option. And if you want your 118 mm pow ski to perform well in really nasty, firm conditions, then a heavier ski like the standard Ragnarok makes more sense. While the Ragnarok Carbonlite is not any worse than other wide, lightweight skis, its forte is still soft snow. At slower speeds, the Ragnarok Carbonlite’s softer shovel and camber help it feel a bit more maneuverable than the standard Ragnarok, since the Carbonlite can be more easily bent into tighter turns, and its camber underfoot provides some pop out of the turn. For its size, the Ragnarok Carbonlite exhibits good maneuverability and has no problem making quick turns in cut-up powder when driven. Just don’t expect to easily wiggle tiny turns from a centered stance like you could on a ski with more tail rocker and / or tail taper. When skiing groomers, that bit of camber underfoot and those softer shovels give the Ragnarok Carbonlite a bit more pop than the standard version. However, it’s still not a highly energetic ski like the Rossignol Super 7 RD. When it comes to edge hold and carving performance, the Ragnarok Carbonlite feels pretty locked in along its effective edge, but due to its rocker and taper, that effective edge is a bit shorter than some skis in this class. Like the standard Ragnarok, the Carbonlite is a pretty long, wide, and straight ski, so if the snow is firm and the terrain is tight, you’re going to have to expend a bit more energy to keep the tips and tails from getting hung up. I found that if I got into an aggressive stance and really pushed the ski through the turn, I could get it to slide around fairly easily. But if I got lazy and / or backseat, I could get into trouble as the tail is still pretty stiff. The reduced mass from the Carbonlite construction does help with its maneuverability, but it doesn’t transform the ski into something that’s easy to noodle around and through tight moguls. In powder and cut-up snow, the Ragnarok Carbonlite’s softer shovels and extra pop do help a bit more than it does in firm snow. I didn’t have to go as fast as I did on the standard Ragnarok to keep it floating, which did make it easier to turn in pow at slower speeds. Overall, the Ragnarok Carbonlite is a bit easier to slash and pop around through the trees than the standard Ragnarok, though there are plenty of easier and more forgiving skis out there if you primarily want something that’s easy to turn in tight spots. If you are looking for a big-mountain powder ski in a lightweight construction, the Ragnarok Carbonlite makes a lot of sense. Coming in at a weight that’s right between dedicated inbounds skis and dedicated touring skis, it would make an excellent 50/50 option for someone who likes to ski fast and make big turns, but who typically spends powder-day mornings at the resort, then heads out the gates later in the afternoon once the snow gets tracked out. The Ragnarok Carbonlite is not a particularly playful ski, but it does slash and dump speed well, giving it a level of accessibility that won’t be found on more carving-oriented big-mountain powder skis (like the Fischer Ranger 115 FR). On top of all that, the Ragnarok Carbonlite comes in at a low enough weight that you could easily use it as a dedicated wider touring ski, too. The Whitedot Ragnarok 118 Carbonlite offers up a big-mountain charger experience at a more touring-friendly weight than the standard Ragnarok. 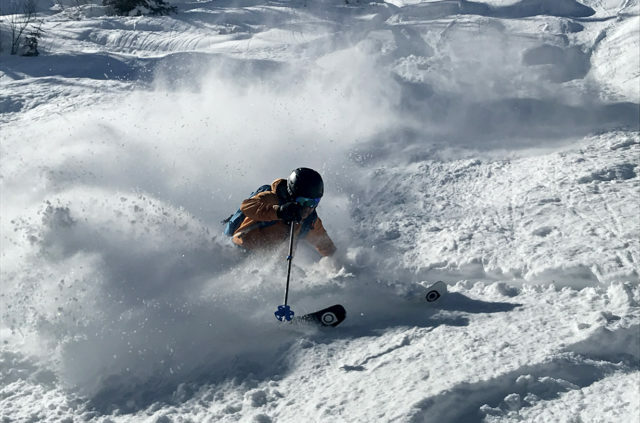 It offers nearly the same downhill performance in soft and / or deep snow as the standard Ragnarok, so in soft snow, few skiers will notice the drop in performance, and many will appreciate some additional maneuverability. Certainly, a lightweight, 118mm-wide, 190cm-long ski isn’t for everyone, the Ragnarok Carbonlite fills the niche of a touring-friendly big-mountain powder ski very well.